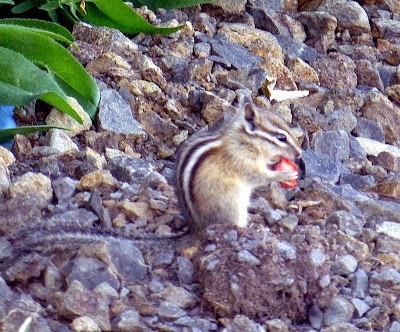 Rural Revolution: What about chipmunks? I would love to have success with potato planting! My husband and I have tried twice, and yet they all get dug up and stolen by chipmunks and the like. Any suggestions? We have tried container planting also, but those rodents are persistent. I haven't had to face this -- we have hordes of chipmunks, but they seem to leave the potatoes alone -- so I thought I'd open this up for discussion. What can this reader do to prevent her potatoes from being stolen by persistent rodents? If growing the potato's in raised beds then put a layer of broad cloth 1/4" weave (also known as rabbit wire) on ground and a layer on top of the raised beds. Maybe trying to grow them in potato wire towers? You can look them up, basically it's a length of fencing turned into a circle, then around the inside is straw, then soil. You could decide which fencing would keep them out, put a piece on the bottom and top to stop tunneling. Apparently the disposable canning lids have changed? Chipmunks? It would take a ravaging horde of a thousands chipmunks to threaten even one potato plant wouldn't it? We've had success by planting in planters and putting screen across the top. Another good method is to make large chicken wire baskets and plant the potatoes in them. The added advantage is the potatoes all come up in the basket so there's less grubbing around for them and fewer shovel cuts. And they're re-usable. 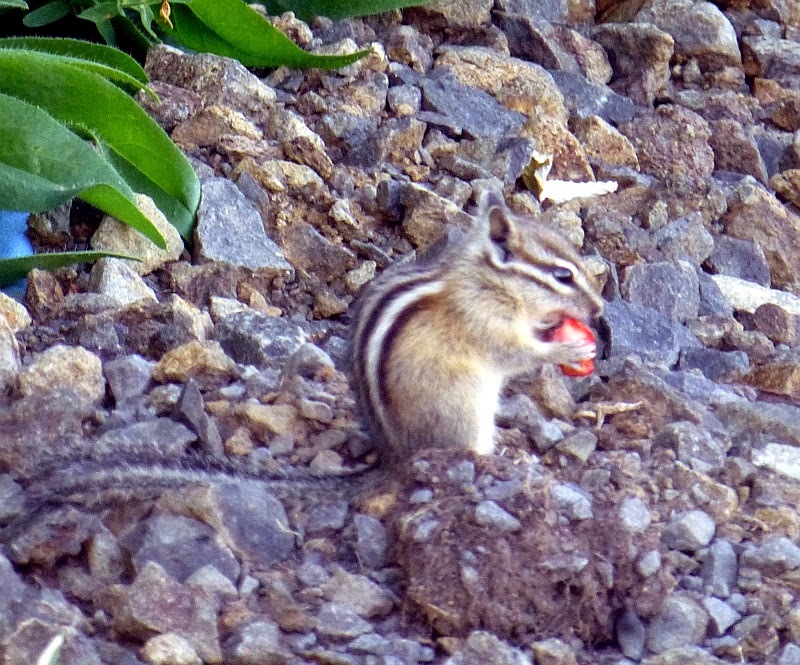 Arm the kids with pellet guns and put a bounty on the chipmunks. Yup...I declared war when three of them got into my basement. My Grandpa bought all of us grandkids BB guns. They should grow them in the tires (like your setup, Patrice) and put hardcloth or chicken wire over the tops of them or have some cats/dogs to let roam freely on patrol. An aggressive outdoor cat or dog. Simple as that. Most folks don't want to hear the obvious answer - kill the chipmunks. yes. ask jackie at backwoods home magazine discussed this. she and others have had to recan some items. try tattler lids. i have not used them yet but patrice has recommended them. Thanks for all of the responses to my question, everyone. We do have two lovely outdoor kitties who keep some of the rodent population under control. I really like the potato tower idea, and will have my husband read all of the suggestions. As for shooting the little buggers, there are not enough hours in the day! Believe me, I am not averse to it! Thanks again. I have chipmunks but they don't go after potatoes or sweet potatoes, never have... I would be very surprised if potato is part of the chipmunk diet. Rats love potatoes and sweet potatoes and will eat them up quickly. So maybe you don't have a problem with chipmunks. Nuke the chipmunks from orbit. It's the only way to be sure.